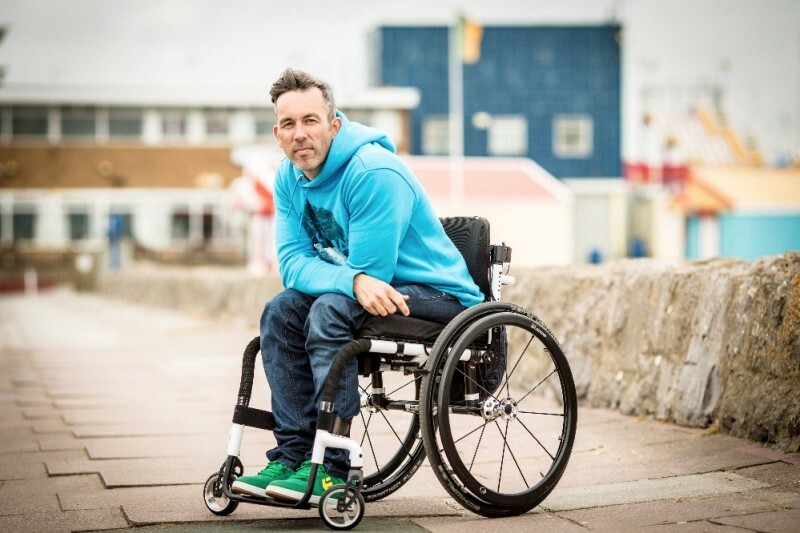 My name is Martyn and I was a Professional Mountain Bike rider for over 20 years until I suffered a life changing Spinal Cord Injury in 2013. I'm a positive person and still very much enjoy life to the full. I remain very pro-active with my personal fitness and want to be able to maintain that healthy lifestyle into the coming years. I've set this page up in response to a post I placed on my Facebook page , where I asked if anyone would be interested in buying my C59 Colnago road bike, the sale of which could help towards funding physiotherapy, house mods and adapted gym equipment. The Colnago bike in question was used by Myself, Danny MacAskill and Chris Akrigg in the film Road Bike Party 2 (which you can watch below). I'm very grateful for all the incredible support I receive each and everyday. Thank you all for that, you are awesome. Hi Martyn, grew up watch your videos and buying MBUK. I'm a biomechanics coach and have a charity that works with athletes across the board. We help improve function, performance, rehab etc. I lecture to Physios, Personal Trainers, massage therapists about screening the body for mechanical restrictions and planning a rehab programme. Would be more than happy to offer these services to you. As a sponsored athlete this would all be free. Hope to hear from you! One hour. Four hundred people. Goal met! Can you believe it? Martyn gets to keep his bike! YES! Hi Martyn, I can help with physiothrapy, I'm a bodyworker. Myofascial release therapist....just let me know dude. Don't sell your bike mate! You are a hero and inspiration to so many, I hope I could be so strong in the face of adversity. Hi, Martyn. I made a donation here from Brazil. 24k in 16 hours. Just shows what a massive inspiration you really are Martyn! Yea, forgot to say that i would be happy to teach you downhill skiing with sit ski. That's fun as! So happy for him..... Please Martyn, never give up, you are my hero..!! Hi Martyn, Having known you since the Cycle Action days and bumping into you at various cycling events over the years, I've never met anyone as down to earth and inspirational as you. Pushing boundaries is what you do best and still do, be strong you have many followers who believe in you! Life tried you hard but please do keep in mind we are all with you. Thank you for showing us the impossible and thank you for the example you set and continue to give to all of us. On behalf of the Lanfranco Bikes team we wish you all the best. Wow, what an achievement! Well deserved Martyn. I used to watch your vids over and over back in the day and even had the pleasure of seeing you and getting an autograph at a bike show! The likes of Chainspotting and Tricks and Stunts were inspiring and so motivating. It's great to see you back on the trails in your new clips, your determination is amazing and you'll always be a legend. Keep up the good work! Martyn I am so happy you are keeping the bike. As you know that bike and my son George have a strong connection so he had wanted you to keep it. My donation is on its way! Seen your video. Very inspirational. Stay on that bike dude. Martyn, you are amazing and inspiring for your mad skills, humility and optimism! I know these costs don't go away and want to see more of the videos like the one in Fort William!